Blockchain-based cybersecurity system, including a Micro-PC CWP, providing various secure D-Apps, a robot of smart contracts and a set of services based on AI. We aim at providing people innovative, smart & safe devices with the best security level. 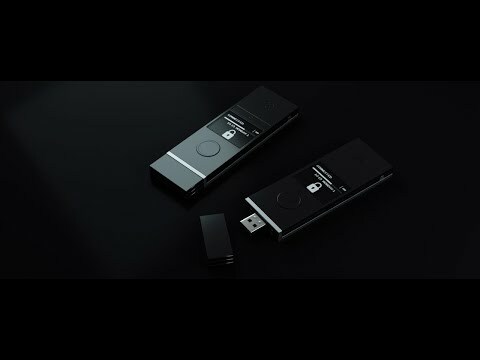 CryptoWorkPlace — decentralized system based on a personal computer the size of a USB flash drive, providing unprecedented protection against hackers’ attacks, malicious programs and unauthorized access to data. There are currently a few options on the market that allow you to protect your cryptocurrency wallet by keeping the keys in a separate device that connects to your PC. That being said, with the current rate of technological development, even if your PC has an up to date anti-virus, one can never be fully confident that it is impenetrable. Hackers can come up with new ways to penetrate your system faster than anti-viruses can come up with the right “medicine” for the attacks. Before long, you can lose access to your cryptocurrency wallet, and thus your money. The CryptoWorkPlace (CWP) Micro-PC is not a secure key storage; it is a fully independent PC with an operating system and its own applications; It only needs a monitor, keyboard, and mouse from an external computer. The security of this external computer is irrelevant since it is only used to visualize the information. All of the actual processes take place in the secure internal memory of the CWP Micro-PC. Since the CWP is a PC and not just a cryptocurrency wallet, it offers the user many useful features. One can get a variety of useful apps such as a multicurrency wallet, access to a few different trading platforms at once, chat channels, and other services which can make life much easier. All of these available services can be conveniently combined on one homepage panel. Thus you can move all your vital information to the forefront of the abundance of useful features that are available. Advantage - Well established team and a working product with a huge chance to scale up quickly - Functional as wells as elegant. Disadvantage - The social media presence is very low for an established product. The business model is partially made clear. The tokenomics has to be clearly stated to give a clear picture about the token usage and benefits of holding it. MVP is present but no idea how it works - Clarifications?